As you close off your home for the winter, shutting up the windows, filling all the nooks and crannies where cold air might seep in, and making your home a warm haven for yourself this season, you may be finding that you’re not the only one taking refuge in your property. If you’ve found that you’re sharing space with unwanted pests, don’t wait for them to find their way back outside or hope that the problem will disappear overnight. 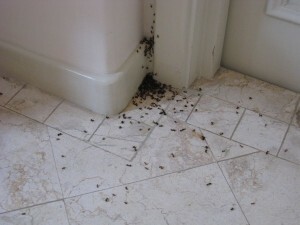 Pest problems can get out of hand quickly, and before you know it, you could be looking at an infestation. Rather than risking a pest problem in your home or business that will affect your daily life, why not contact the professional pest exterminators now to rid your property of unwanted pests before they take over your space. At Eco Tech, our Bloomington, MN pest exterminators have the experience and pest control technology needed to completely exterminate pests on your property, making sure that when we leave, we’ve already sent your pests packing. If you’re having trouble with any of these pests, or if you think your home or business may be overrun by a pest not listed here, give us a call to find out how we can help with your pest problem. When it comes to pest control, we know that it’s never too early to get rid of the problem. When you find pests living in your home or business, the first thing you want to do is get them out as soon as physically possible. That’s why we provide fast Bloomington, MN pest control services, helping home and business owners sleep peacefully knowing that their pest problem is being taken care of as quickly as possible. In order to make this process even faster, we utilize organic, less toxic pest control treatments than traditional brands, ensuring that we are safely exterminate pests without exposing children or pets to harmful chemicals. That way, you don’t have to wait for your property to be empty to get rid of your pest problem. Call Eco Tech at 763-785-1414, 612-237-8282, 952-881-6662 or 651-633-8600, and let our pest exterminators help you take back your property from those pesky pests!